It is furnished with a Caribbean flavour. Your stay at Schooner Bay will truly be a memorable one. Schooner bay is a beachfront condominium that consists of three blocks of apartments with a freeform swimming pool as the focal point. 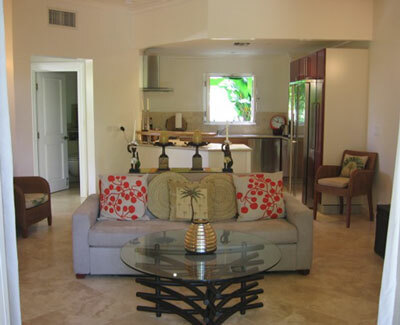 Schooner Bay #105 is a delightfully spacious one-bedroom, two bathroom apartment with all the finishes one would expect to find in a penthouse unit, with marble floors, marble bathrooms.